Are western Muslims an endangered species, or are they the future of Islam? The accelerated adaptation and change western Muslims are pushed to make in order just to survive has galvanized them into a serious effort of rethinking and reflection. This has, in turn, moved the worldwide debate on Islamic reform into a new higher gear. 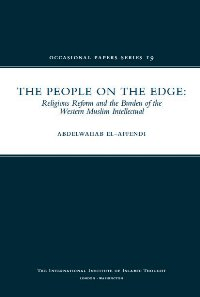 While Muslim intellectual activism in the West had deep historical roots, the claims of the new emerging movements and intellectual figures to moral, intellectual and religious leadership of the Ummah are unprecedented in their boldness and pride in their specifically western/modernist credentials. Moreover, it is paradoxical that what is in essence a response to the precariousness of the increasingly vulnerable Muslim presence in the West is at the same time trying to present itself as the most authoritative interpretation of Islam. This paper traces the historical roots of western Muslim intellectual activism, and assesses its success in attracting support both within the West and the wider Muslim world.